We are system designers, integrators, and installers of remote power supplies and water pumping systems, specializing in alternative electricity supply for farms, holiday cottages, eco-resorts, communication etc. Solar-, wind-, hydro- and generator power is combined in a hybrid system in the most economical and environmental friendly way. We focus on the supply of turnkey alternative electricity systems as well as providing long back-up UPS systems where a stable and reliable electrical supply is critical. 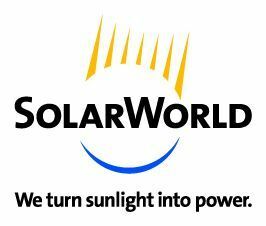 OMNISOLAR is the regional distributor for SolarWorld and Grundfos amongst others, and is currently one of the leading Southern African dealers for Grundfos SQFlex solar water pumping systems. As a Grundfos Service Partner we have full on-site service facilities for SQFlex pumps ensuring quick repair turnover times. Our business philosophy is to give personal attention to each project in order to ensure quality and customer satisfaction. Instead of just selling components we sell solutions. All system designs and installations are supervised by our ourselves having established OMNISOLAR as a reliable service provider since commencing business in 1998.